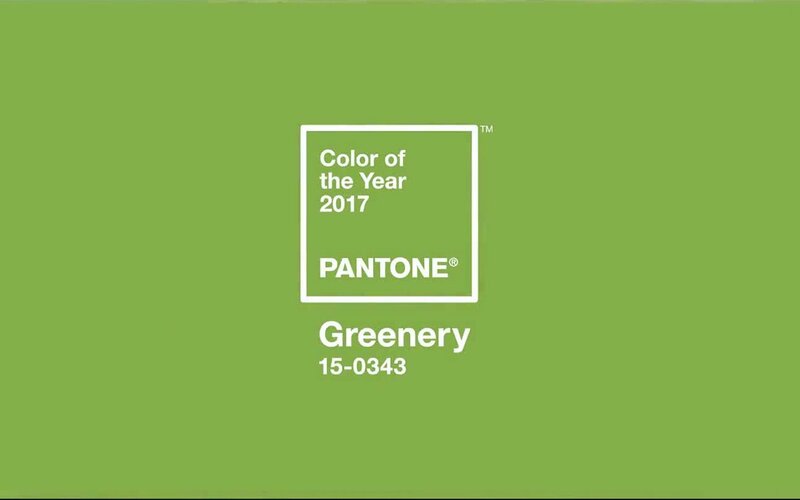 Greenery was recently named the Pantone colour of 2017. For anyone who doesn’t know, this increasingly iconic and influential company has been selecting the colour of the year since 1999 and trends that follow often incorporate whatever tone they choose. This colour is described as a yellow-green although I personally find it to be more cool toned. It is a neutral green reminiscent of lush vegetation and I can see it working as an edgy eyeshadow colour, in a vibrant cushion fabric design or splashed onto an accent wall. 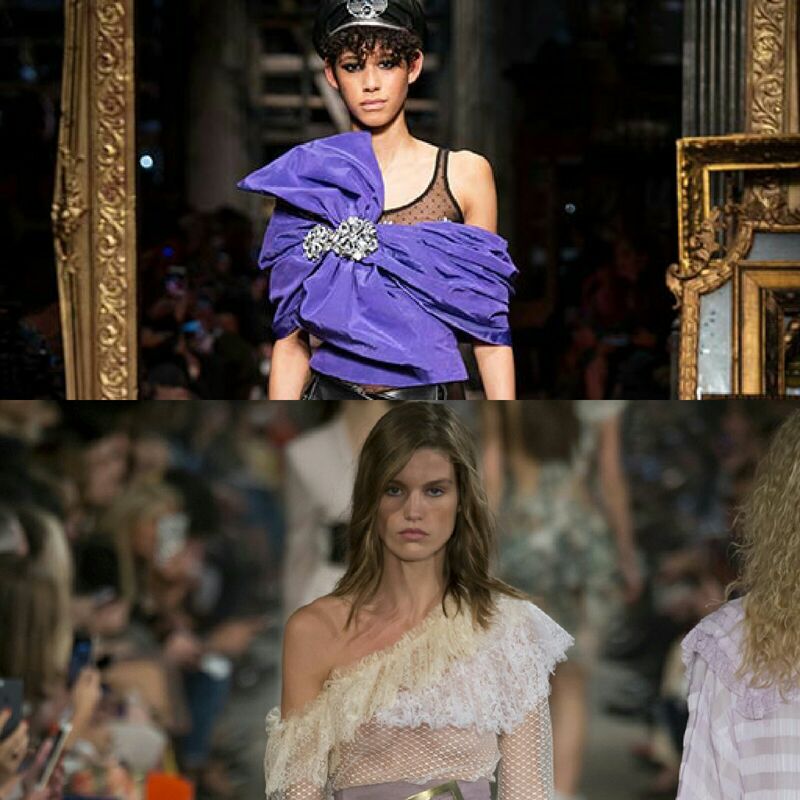 So we know what colour sets the tone for fashion and design this year but what else will be trending in 2017? By this I mean sheer fabrics namely Tulle and Lace. 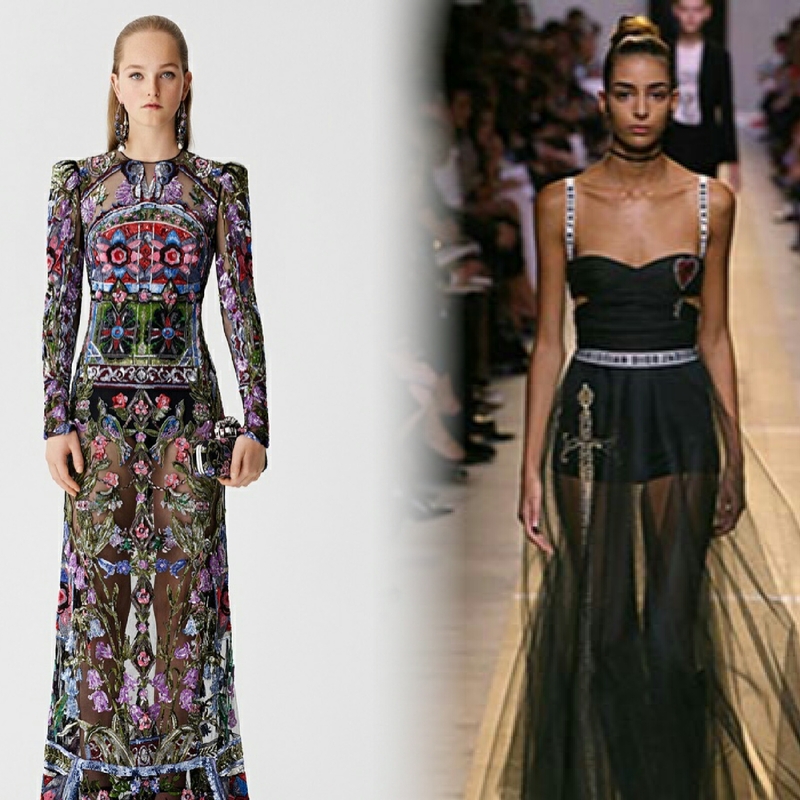 While these fabrics always have their place every season, they are more prominent in 2017 with full tulle skirts and dresses made entirely of lace and beads. Those cheeky cold shoulder, long sleeve tops that made a splash towards the end of 2016 were just the beginning. One shoulder tops, diagonal cut tops, will be really trending and I for one cannot wait. Who doesn’t love an asymmetrical top? 2016 definitely saw the return of mid 1990s fashion, with button front skirts and chokers a plenty and I was there for it. I still am. But let us step aside and give the 1980s some time to shine. Literally. We are talking lame, sequined leggings, neon colours and of course wide bold shoulders. Hot pink, Fuchsia, Mauve. 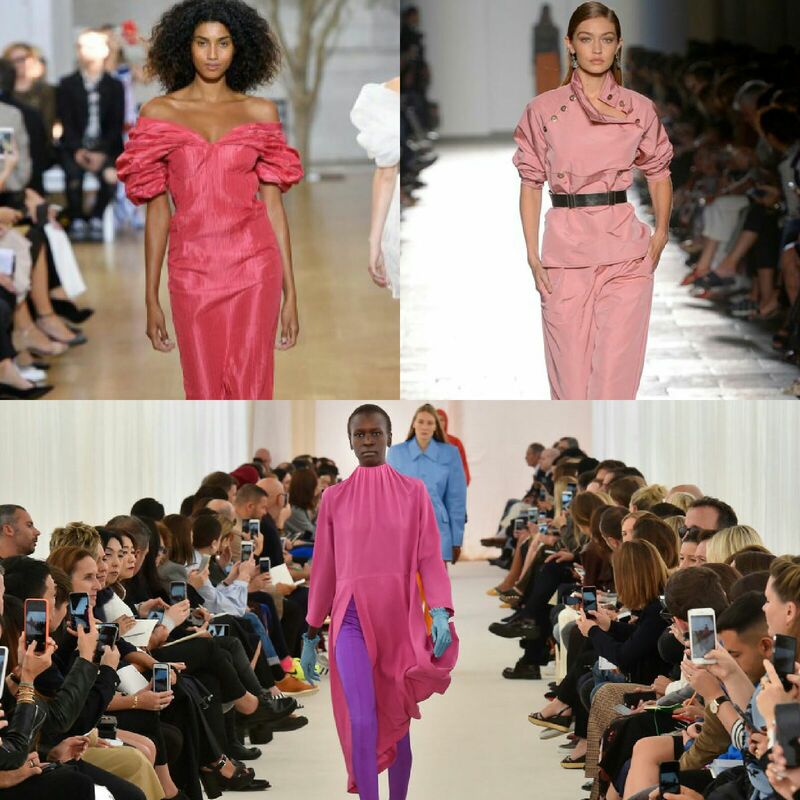 All the more grown up variations of the colour pink were seen on the runways. And what a beautiful time it is. Pink is an amazing colour because it literally matches all skin tones. Definitely get a splash of this in your wardrobe this year. Horizontal, Vertical, Thick, Pinstripe. Bold. Every version of stripes will make an appearance. Stripes can be so versatile, it’s impossible not to find a style that suits you. 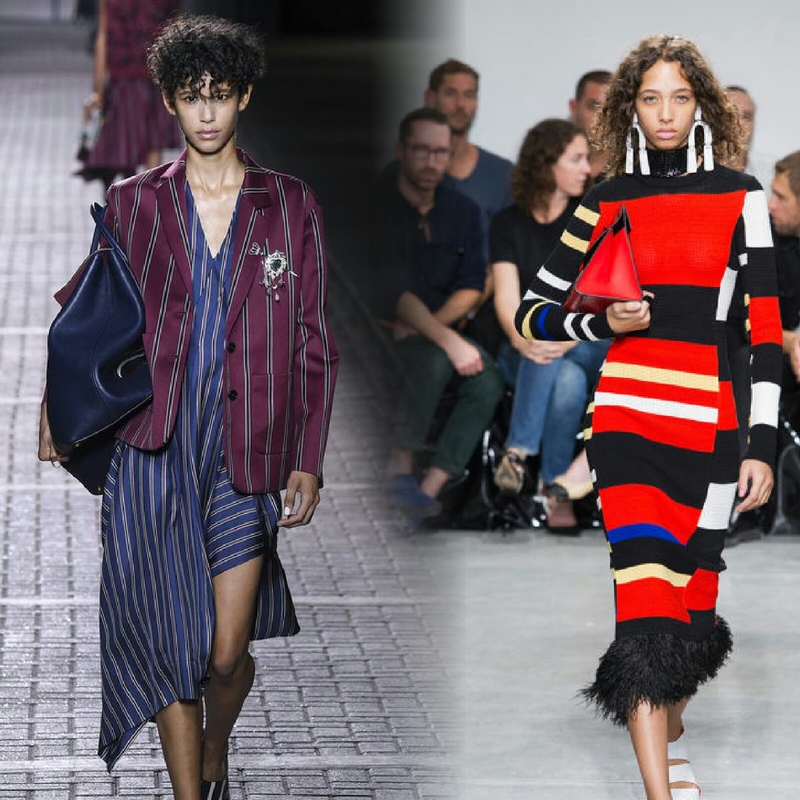 White Pinstripes on your pantsuit for work or horizontal multicoloured stripes on a jersey dress for a sporty look. 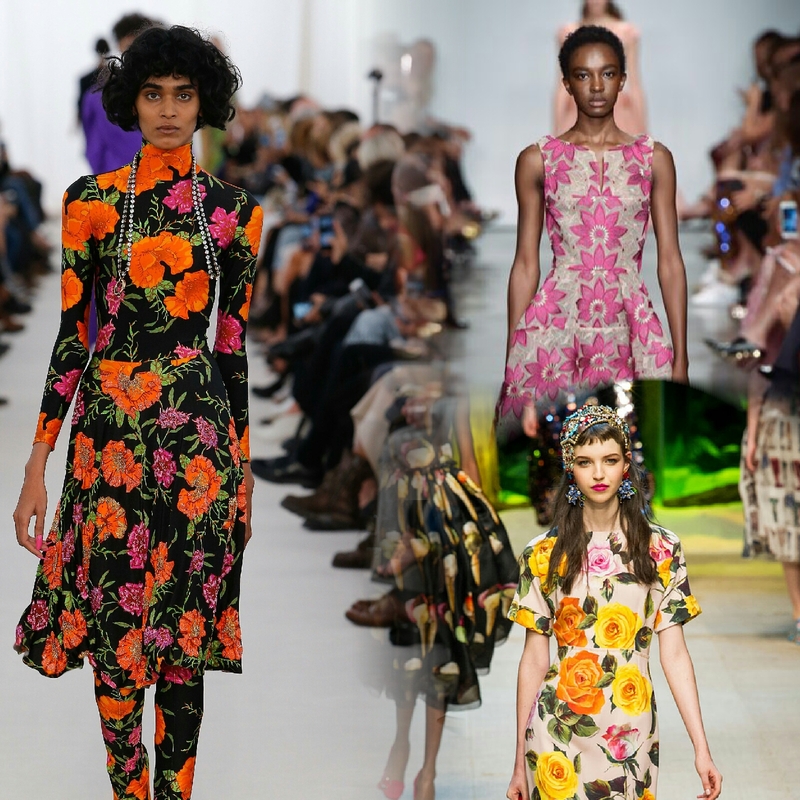 Again, floral prints will almost always be present in some form or fashion year after year. This year however the prints are more 1960s and 1970s inspired with simplified lighter coloured prints as well as more intricate English garden style patterns. 2017 welcomes the era of the deconstructed and reconstructed Oxford shirt. This is by far one of my favourites. I love the idea of dismantling a crisp Oxford with all its implications of stiffness and conformity (I also happen to love a regular Oxford btw) and making it into something edgy and with attitude. In 2017, it’s all about the attitude. The bralet is no longer being hidden underneath an oversized tank top or relegated to a festival outfit. It is becoming way more widespread with many designers making the tops of their dresses into this style or creating pantsuits or skirt suits which incorporate bralets. This trend definitely takes some confidence as you will obviously be baring it all. But like I said, 2017 is all about having the right attitude so if you like it, wear it. I call this: “The other neutral” (Black being the first one). I used to love khaki, in fact I used to have as much khaki as black in my wardrobe. Then I stopped wearing cargo pants, and suddenly…no more khaki. 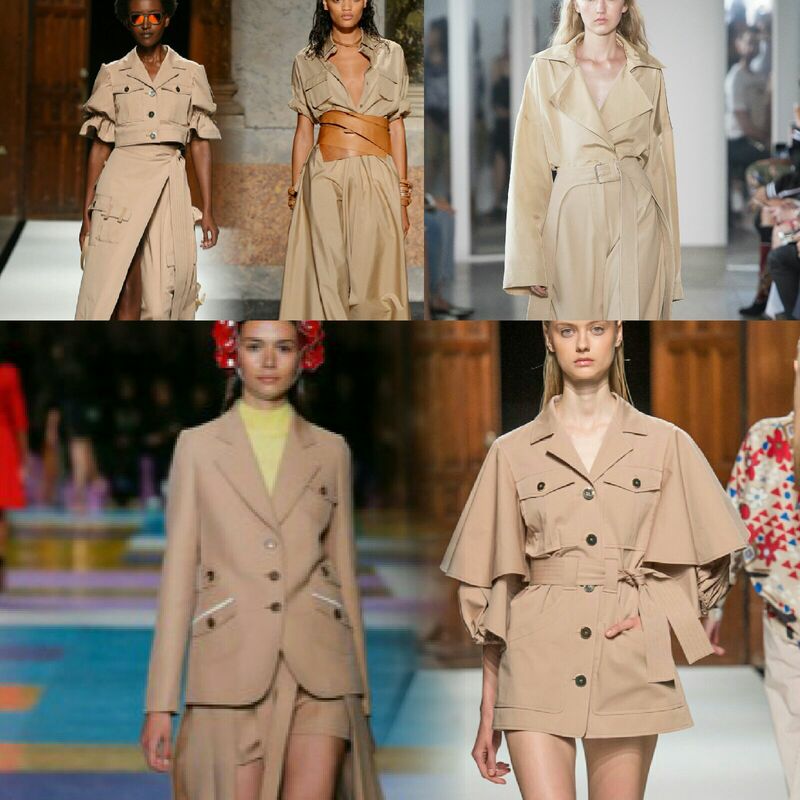 But seriously this time around khaki has come back savage being seen primarily in the form of trench coats and other beautifully designed jackets. Culottes with their midi length wideness are here to make a statement. 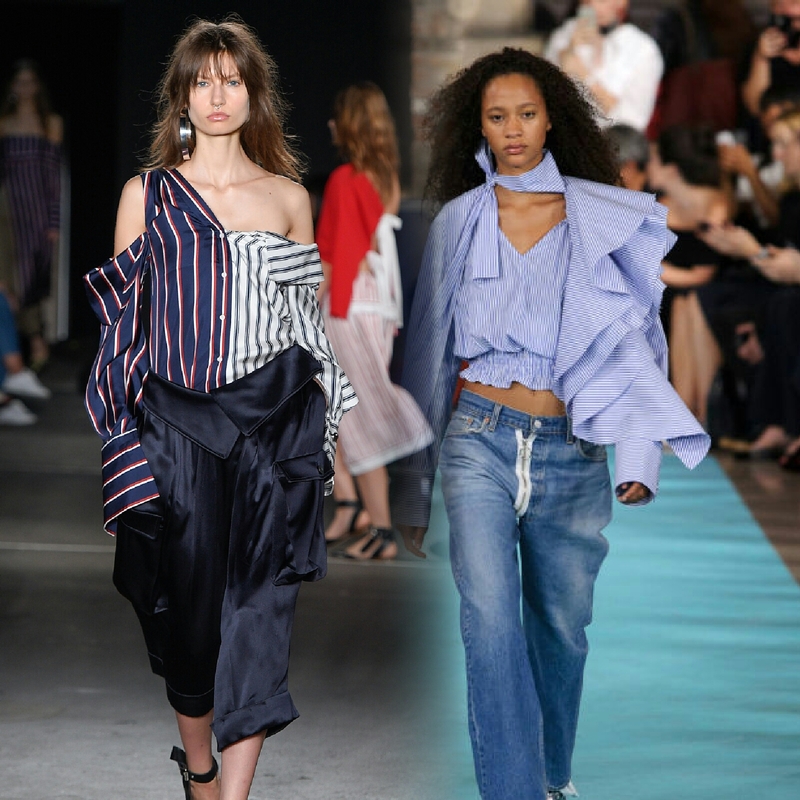 This style of pant has had a few moments in the limelight since their initial debut in the 1970s but this time the trend is hard to ignore being more ubiquitous than ever. Joining the culottes in the 2017 trend list is wide bottom pants. 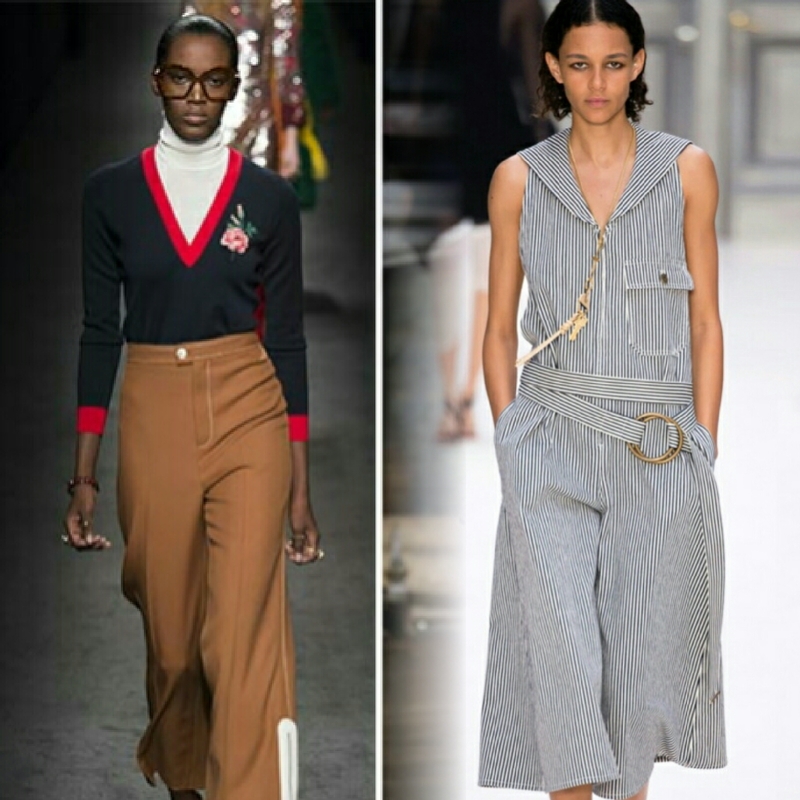 This style of pant had been very slowly seeping into popular fashion over the past few years but remained relegated to fashion bloggers and stylists who were more willing to take a chance. Now we can all jump aboard on this wearable trend. What trends do you like? What are you thinking of experimenting with? Today I will be chatting with you about a trend that has been all over the runways at many recent fashion week shows : Socks and Heels . 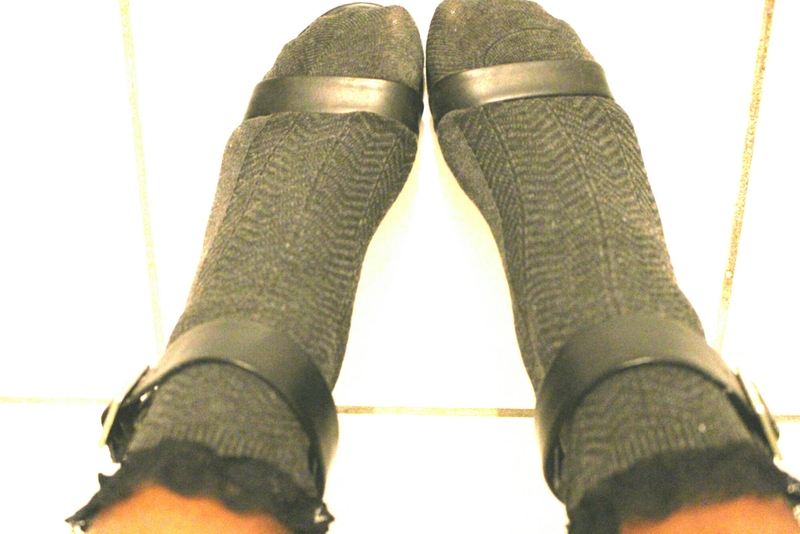 This is not to be confused with the tourist faux pas : socks and sandals . No, no , this is a more elegant version of that look . This trend has been cycling in and out of high fashion for years . I remember it having a brief splash in the mid-late 1990s but not so much after that. Until now. This look has been trickling in since early 2016 and now it’s back with a bang and I love it! 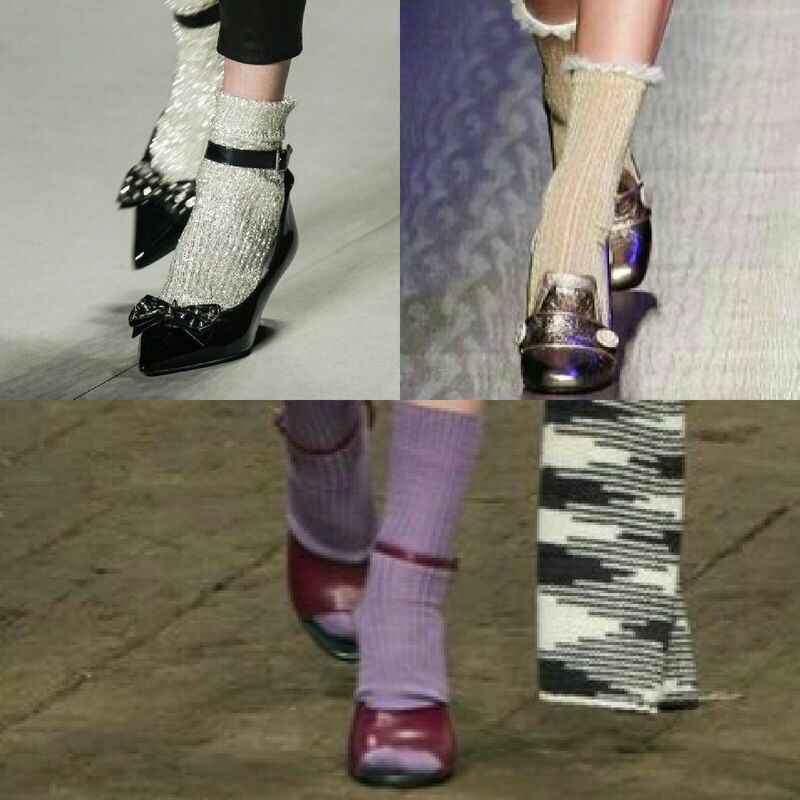 Socks and heels on the runway for Fall winter 2016-2017. From top left: Prada, Tommy Hilfiger and Missoni at the bottom. I adore fashion , I go on YouTube and watch uploads of runway shows , I read blog posts informing me of the next season’s trends but the truth is I will seldom buy any of these items. This is what is great about this trend it is so easy to afford and pull off in so many ways. So what do you need to wear this look? 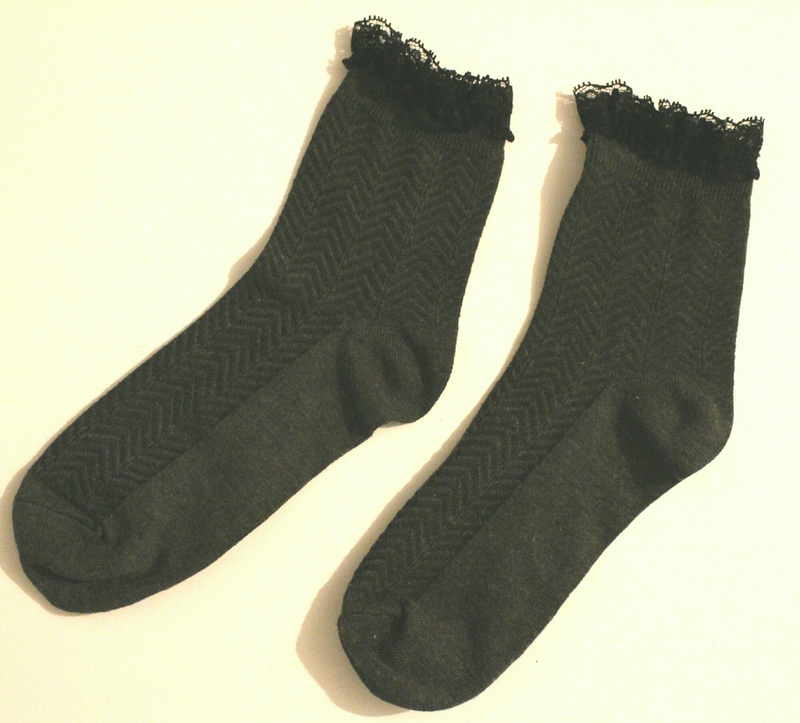 You probably already own multiple pairs of heels and socks are easy to come by , I got this pair for just $2.50. 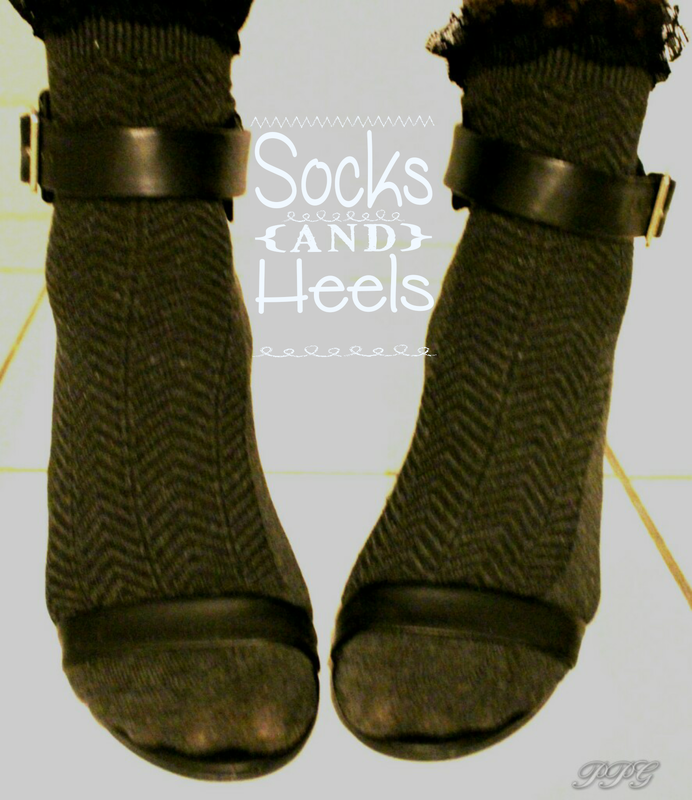 This trend is suitible for various temperatures from thick woolen knee highs paired with boots or ankle socks layered with leggings in cooler temperatures to light weight socks with strappy heels in warmer weather. 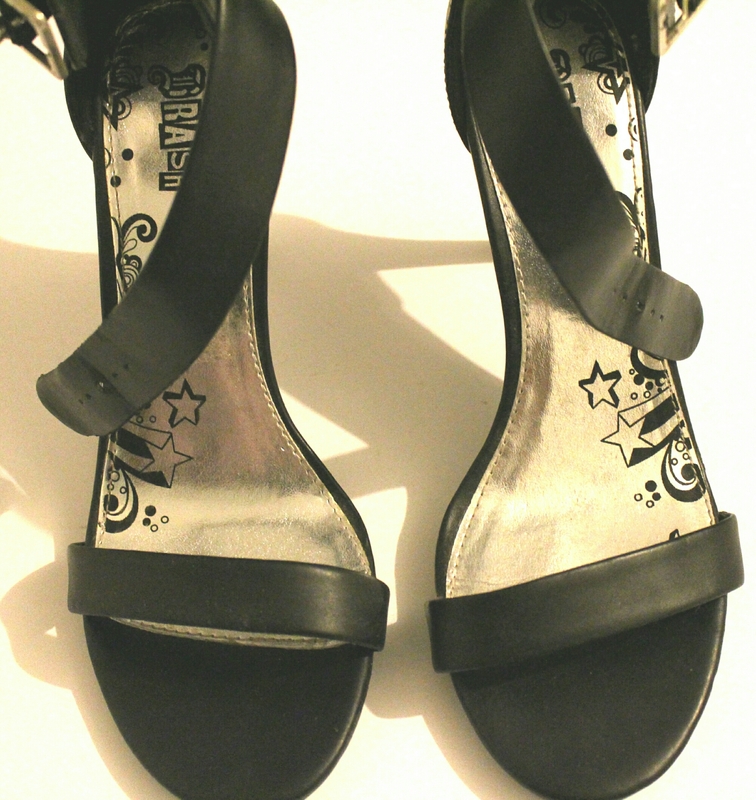 Best of all you can get creative and DIY customise your socks from be dazzling with jewels to adding lace trim. I hope my mini trend report has inspired you to try this one out or another affordable trend and I hope you have an awesome day!